Are high arched feet the better foot type? With all of the bad press that there is about flat feet, one might start to wonder if having a high arched foot is ideal. However, and arch can be 'too high' just like it can be 'too low.' 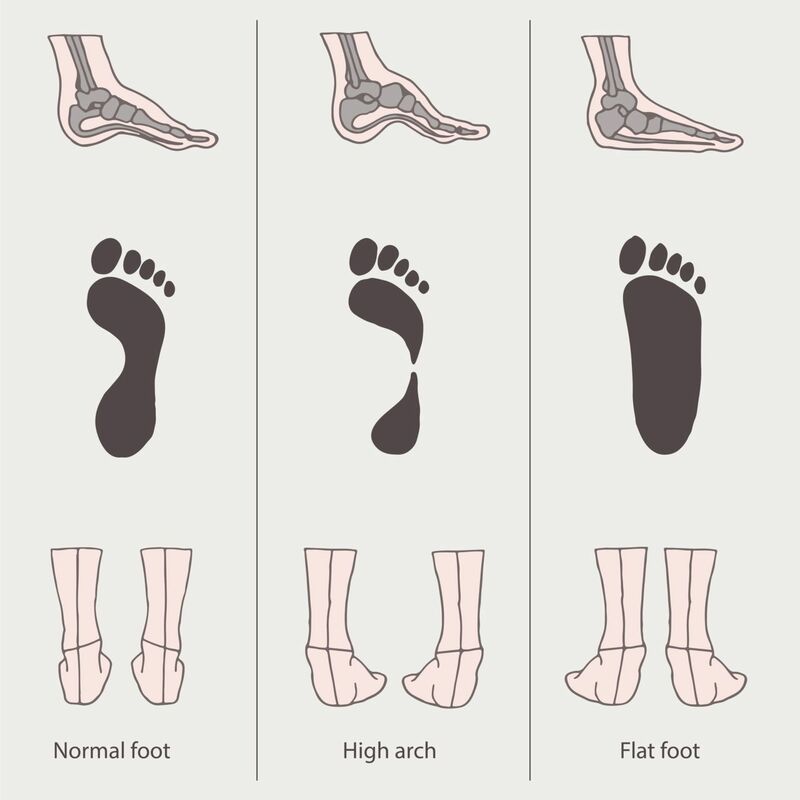 The problems associated with these can be the same, but there are also some conditions with high arched feet that are opposite. Because of where the strain is in a flatter foot, tendonitis can develop on the inside aspect of the foot. With a high arched foot, tendonitis can develop on the outside of the foot. There is also a higher risk of ankle sprain with a high arched foot. Plantar fasciitis is a condition that can be experienced by both high arched and low arched feet. In both cases, there is abnormal strain placed on the plantar fascia - the ligament on the bottom of the foot. If you have pain in the heel or around the ankle, it is likely due to your particular foot type. At Prairie Path Foot and Ankle Clinic, our doctors and medical staff are trained to determine your specific foot type, which aids us in determining the appropriate treatment to alleviate your current condition, as well as prevent recurrence or further complications. Contact us today!